It’s time to let go of imagined future catastrophes based on pessimistic failures of adaptation (Amstrup et al. 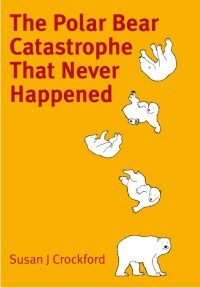 2007, 2008; Atwood et al. 2016; Stirling and Derocher 2012) and acknowledge that polar bears and Arctic seals, just like Pacific walrus (MacCracken et al. 2017; US Fish & Wildlife Service 2017), are resilient species with adaptive capabilities we are only just beginning to comprehend (Crawford and Quakenbush 2013; Crawford et al. 2015; Escajeda et al. 2018; Rode et al. 2014; Stirling and Lunn 1997; Stirling et al. 1975a; Vibe 1965). “The U.S. Fish and Wildlife Service has found that the Pacific walrus does not require protection as threatened or endangered under the Endangered Species Act (ESA). The finding follows a comprehensive review and analysis of the best available scientific information concerning the species, as well as local and traditional ecological knowledge of Alaska Native peoples. While walruses use sea ice for a variety of activities, including breeding, birthing, resting and avoiding predators, they have shown an ability to adapt to sea ice loss that was not foreseen when the Service last assessed the species in 2011. Polar bears, like Pacific walrus, will be protected in the US under the Marine Mammal Protection Act even if ESA protection is cancelled. Giving up ESA protection would not throw conservation values and protection to the wind: it would just take away an unnecessary complexity that is not well supported by science (Crockford 2017; Crockford and Geist 2017). After all, the Marine Mammal Protection Act provided the support that allowed polar bear numbers to rebound after decades of over-hunting in the US. It’s time to accept that the survival of these species through thousands of years of massive changes in sea ice habitat — the like of which modern field biologists have never seen — is sound evidence of their innate adaptive ability (Cronin et al. 2014; Cronin and Cronin 2015). Sea ice may change in the future, as it has done in the past, but polar bears and their prey will almost certainly continue to exist. 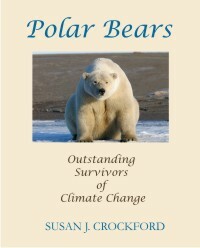 Instead of hand-wringing, perhaps we should celebrate the fact that Arctic nations came together in 1973 to protect polar bears from a scourge that evolution could not have anticipated — the relentless slaughter by humans with guns (Honderich 1991; Stirling 2011), and that individual nations followed with their own protective legislation. We have polar bears in abundance today because people in the 1960s and early 1970s saw that a different future was possible and did something about it. It’s time to thank those dedicated people for their service (Ian Stirling included) and put the issue of polar bear survival to rest: polar bears have been saved. Optimism and curiosity should drive the conservation agenda forward (e.g. Swaisgood and Sheppard 2010), not the relentless pessimism that turns good news into personal attack (e.g. Harvey et al. 2017). Maybe it’s time to turn to pure scientific research to help us understand how polar bears adapt so well to change. 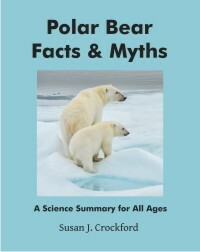 Maybe it would be better if we removed the need to justify Arctic science with conservation and management objectives, including counting bears (an endeavour fraught with potential inaccuracies and wide margins of error anyway), and accept that polar bears can take care of themselves as long as hunting regulations are in place and enforced. Let’s do some real science that tells us interesting things we didn’t know before, such as how so many female polar bears in Western Hudson Bay in the 1980s were able to produce triplet litters and wean their cubs at one and half years old when no other subpopulation under study at the time was able to do so (e.g. Ramsay and Stirling 1988; Stirling and Lunn 1997). Or why — exactly — sea ice in the Eastern Beaufort Sea gets too thick in early spring to support ringed seals, bearded seals, and polar bears (Bromaghin et al. 2015; Burns et al. 1975; Harwood et al. 2012; Ramseier et al. 1975; Smith 1987; Stirling 2002; Stirling and Lunn 1997; Stirling et al. 1975a, 1975b, 1980, 1981, 1982, 1985)? Polar bears have been saved but we can still use some solid polar bear science. Crawford, J. & Quakenbush, L. 2013. Ringed seals and climate change: early predictions versus recent observations in Alaska. Presentation by Justin Crawfort, 28th Lowell Wakefield Fisheries Symposium, March 26–29, Anchorage, AK. Available from http://seagrant.uaf.edu/conferences/2013/wakefield-arctic-ecosystems/program.php [accessed June 7, 2013]. Crawford, J.A., Quakenbush, L.T. & Citta, J.J. 2015. A comparison of ringed and bearded seal diet, condition and productivity between historical (1975–1984) and recent (2003–2012) periods in the Alaskan Bering and Chukchi seas. Progress in Oceanography 136: 133-150. MacCracken, J.G., Beatty, W.S., Garlich-Miller, J.L., Kissling, M.L. and Snyder, J.A. 2017. Final species status assessment for the Pacific walrus (Odobenus rosmarus divergens). US Fish & Wildlife Service, Anchorage, AK. Ramseier, R.O., Vant, M.R., Arsenault, L.D., Gray, L., Gray, R.B., and Chudobiak, W.J. 1975. Distribution of the ice thickness in the Beaufort Sea. Beaufort Sea Technical Report #30. Canada Dept. of Environment, Victoria, B.C. Available online. Stirling, I., Andriashek, D., Latour, P.B. & Calvert, W. 1975a. Distribution and abundance of polar bears in the Eastern Beaufort Sea. Beaufort Sea Tech. Report #2, Dept. Environment, Victoria, B.C. Stirling, I., Archibald, R. & DeMaster, D. 1975b. Distribution and abundance of seals in the Eastern Beaufort Sea. Beaufort Sea Tech. Report #1, Dept. Environment, Victoria, B.C. Stirling, I, Cleator, H. & Smith, T.G. 1981. Marine mammals. Polynyas in the Canadian Arctic (eds I. Stirling & H. Cleator), pp. 45-58. Canadian Wildlife Service Occasional Paper No. 45. Ottawa. Stirling, I, Kingsley, M. & Calvert, W. 1982. The distribution and abundance of seals in the eastern Beaufort Sea, 1974–79. Canadian Wildlife Service Occasional Paper 47. Edmonton. Stirling, I., Schweinsburg, R.E., Kolenasky, G.B., Juniper, I., Robertson, R.J., Luttich, S. et al. 1985. Research on polar bears in Canada 1978-80. Polar Bears: Proceedings of the 8th meeting of the Polar Bear Specialists Group IUCN/SSC, Oslo, Norway, 15-19 January 1981. (ed Anonymous), pp. 71-98. IUCN, Gland, Switzerland. Vibe, C. 1965. The polar bear in Greenland. In, Proceedings of the First International Scientific Meeting on the Polar Bear. Fairbanks, Alaska 6-10 September 1965, IUCN Polar Bear Specialist Group. University of Alaska International Conference Proceedings Series, No. 1. pg. 17-25. Washington, DC. Available here. This entry was posted in Conservation Status, Summary and tagged abundance, conservation, facts, observations, optimism, populations, save the polar bear, science, sea ice, success, walrus. Bookmark the permalink.